No food should be that color, it's the nastiest white-brown we've ever seen. Seriously, what is going on with those things? They're lumpy and gooey and just plain wrong. 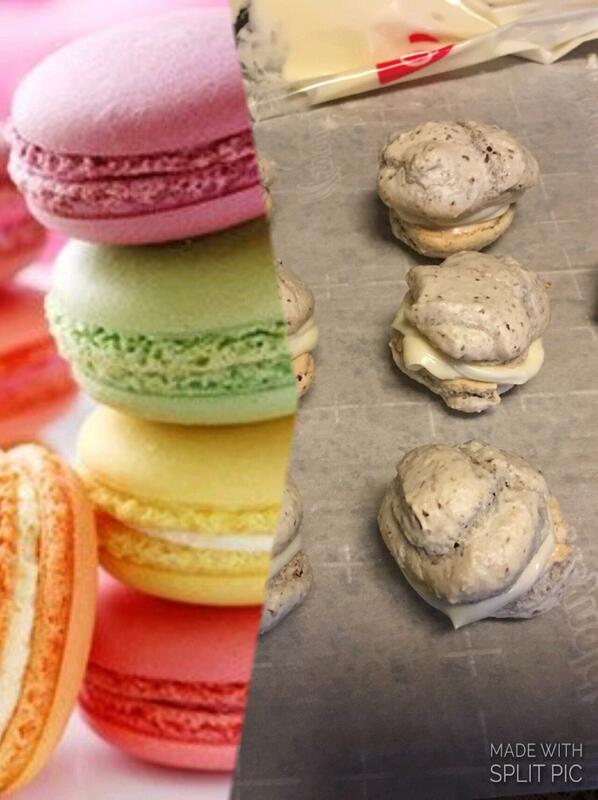 It was noted that where they went wrong was the macaron recipe they followed. Apparently, there are two different types - French macarons and standard macaroons. The sandwich-style ones they attempted to make on the left are French, but they followed a recipe for standard (which are puffy and not meant to be creme-filled), so they ended up with a hybrid of the two on the right. Learn from their mistake!